There will be no spring season senior slump for Maureen Lewin. 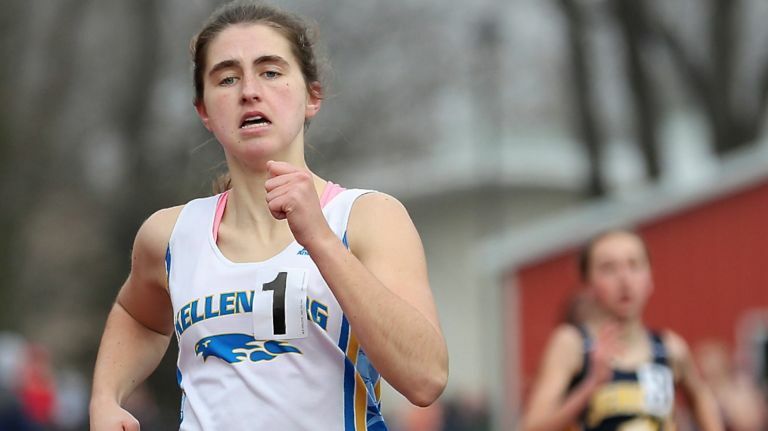 Nope, she’s here to leave her mark on the Kellenberg track program, and she isn’t wasting anytime wading herself into winning waters. Lewin won twice at the 51st Nassau Coaches Invitational Saturday at Cold Spring Harbor High School. Lewin won the 1,500 meters in four minutes, 52.50 seconds, the 800 in 2:17.74, and was voted athlete of the meet.